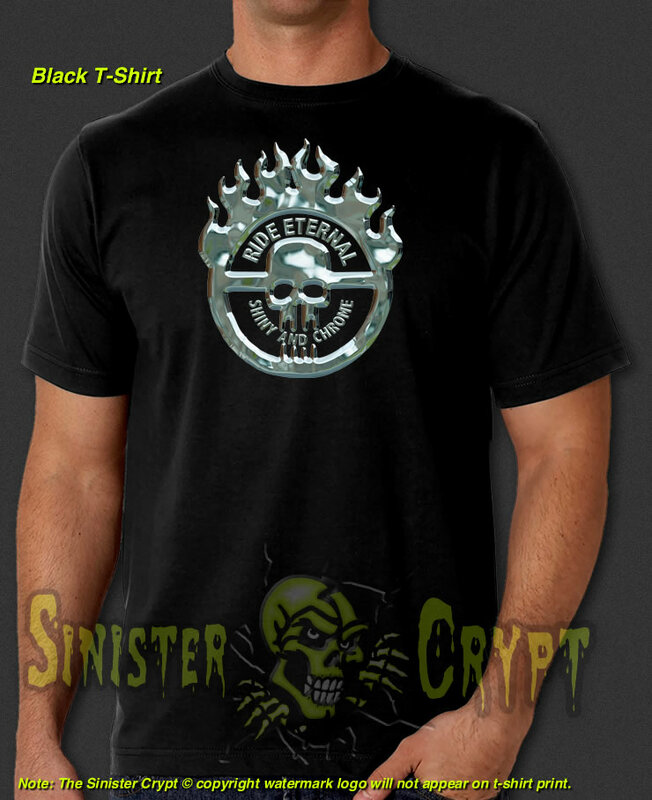 Mad Max Fury Road Chrome t-shirt. 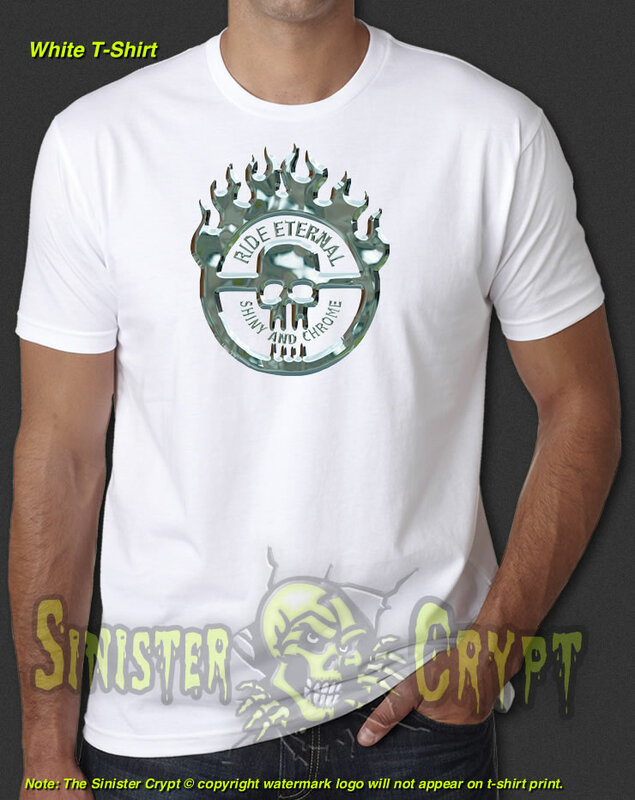 The t-shirt logo features a chrome flaming skull design with the text "Ride Eternal - Shiny And Chrome." Mad Max: Fury Road is the fourth installment in the Mad Max franchise and is an Australian and American Sci_Fi film set in a future desert wasteland where gasoline and water are scarce commodities. Makes a great gift!